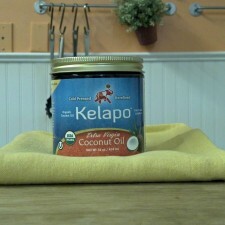 Grab a jar of Kelapo, a washcloth, and some green tea to get started! Spring break just passed and Summer is on its way! Having fair skin is never an easy thing to deal with in the summertime… in Florida. So I am always on the lookout for new tips and tricks to prevent sunburns or relieve the pain caused by sunburns (for me, sunburns are inevitable). It is always a plus when the ingredients are all natural too! Mix coconut oil into hot green tea. Let green tea cool and soak a soft, clean washcloth in the tea mixture. Wring out excess liquid and gently pat washcloth on sunburnt skin. Let skin air dry, so you don’t wipe away any of the green tea or coconut oil. Once skin is dry moisturize with more coconut oil to help avoid peeling. Fill bath with luke warm water, don’t make it too hot. Hot water and a sunburn don’t mix. Throw the green tea bags in and a few spoonfuls of coconut oil and soak in the bath for a while. After you get out of the bath, air dry and then moisturize with more coconut oil to keep your skin from getting dry and peeling. Let the green tea cool. Add tea to spray bottle and store in refrigerator. Spray a light mist of cold green tea over skin to help alleviate pain and redness. Let skin air dry. Moisturize with coconut oil. What are your favorite tricks to help relieve a sunburn?